In case you are wondering why I haven’t been posting I am out-of-town, visiting my sister in Portland, OR! I will resume posting Philly pics on Monday! 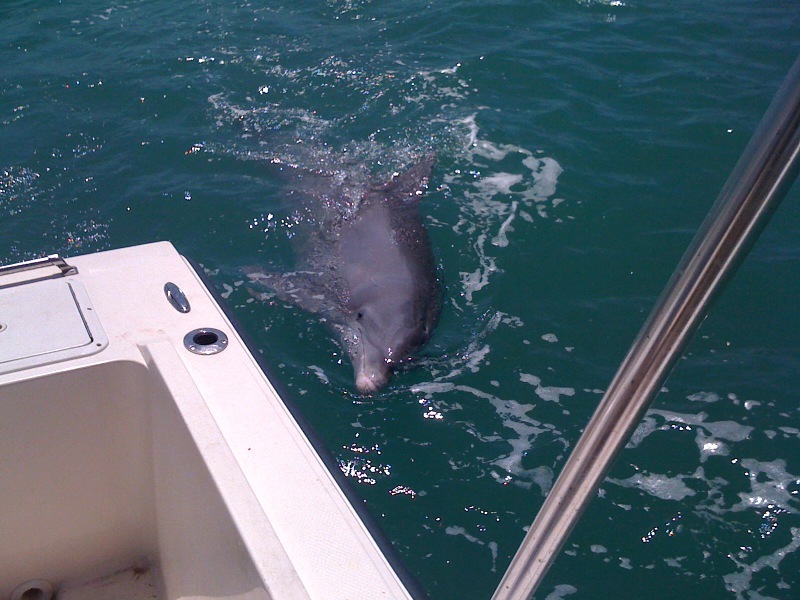 🙂 In the meantime, please enjoy this dolphin picture my husband just took in Sarasota, FL. 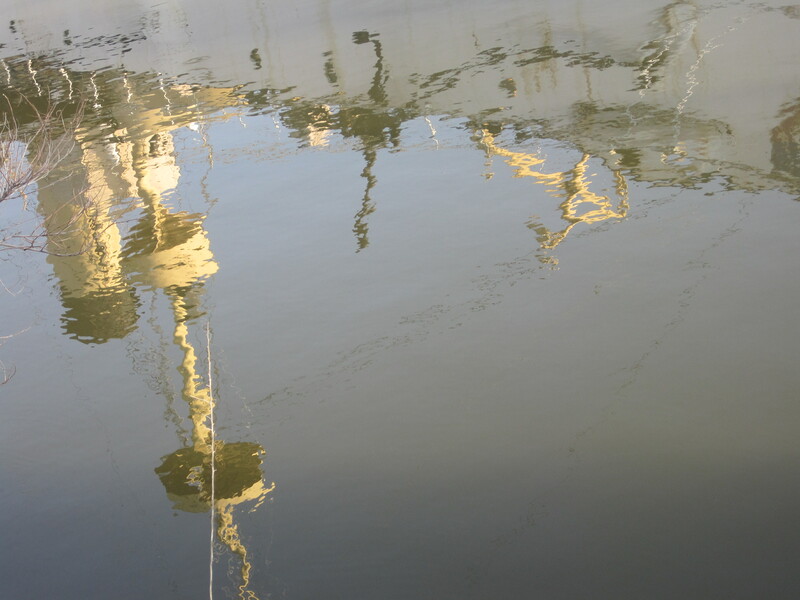 This is the reflection of the USS Olympia. 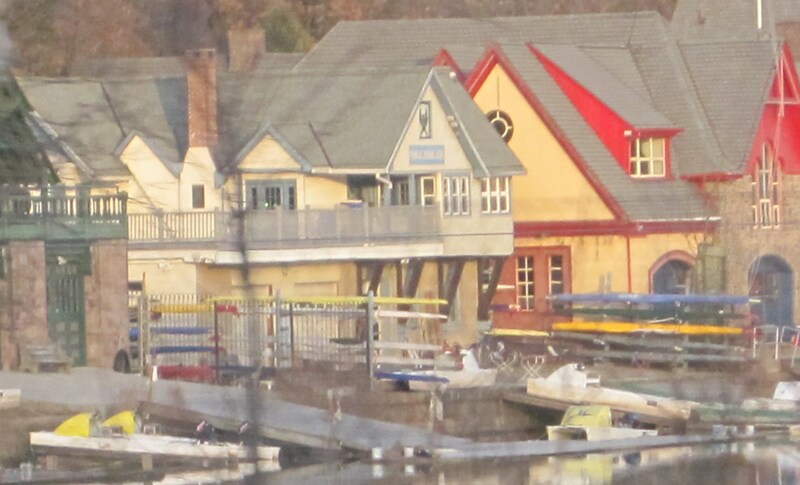 This is a completely new picture, not a cropped picture from yesterday’s post! This boat can be found at Penn’s Landing. 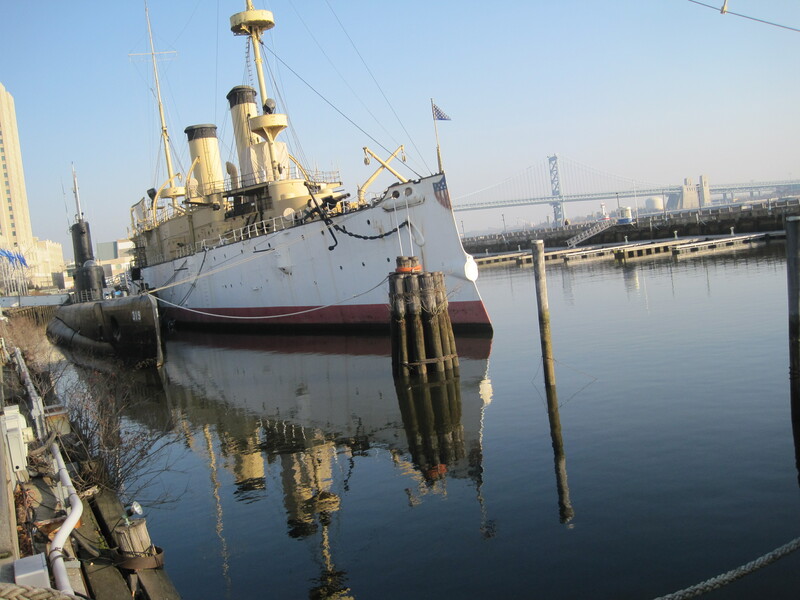 The USS Olympia in port at Penn’s Landing. The Olympia is part of the Independence Seaport Museum. Penn’s Landing has several cool boats to check out and some of them you can go aboard for a visit!